You are on Weyburn Avenue looking across Broxton. The marquee above you is for the Mann Bruin theater. Across the street, the Fox Village theater marquee is visible. 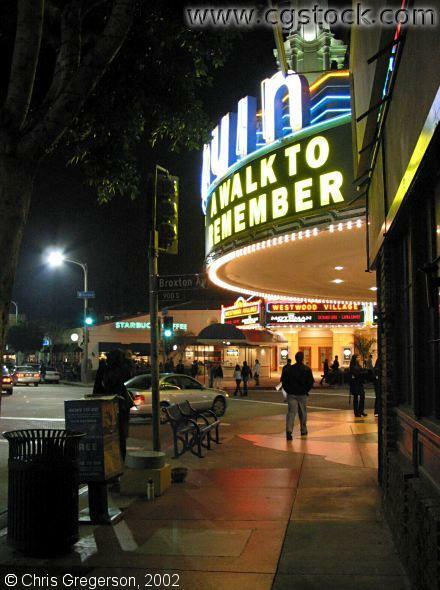 This is in Westwood Village, Los Angeles, near the UCLA campus.